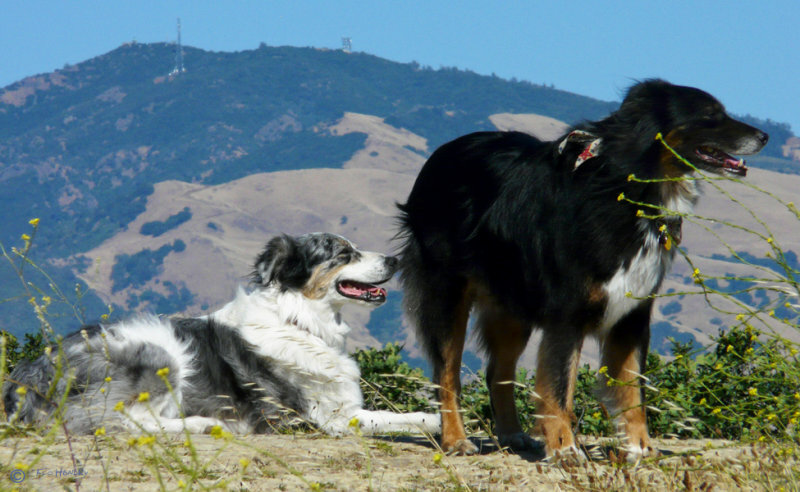 Jamie & Paco, Australian Shepherds enjoying a rest with Mt. Diablo in the background. Wow, what a terrific BG for this shot. Well done! Very Nice! Nice background. My family just moved to Walnut creek in late May. I love taking walks in the open spaces.